We’ve been accredited Master Reseller by Cisco! We’re delighted to announce we have been awarded the Master Reseller status by Cisco! Having launched the Multiplatform series of IP desk phones back in 2016, we have become the no.1 reseller in Europe, making us the optimal ITSP partner. 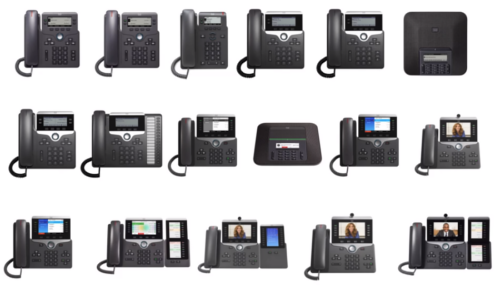 Thanks to our new accreditation, we will be bringing even more Cisco products to the Channel, including the brand new entry-level 6821 desk phone which we expect to launch early in the new year. Acting as a replacement for the popular SPA range, the MPP series is designed to work with any 3rd party hosted and/or onsite platform – this includes leading platforms such as Broadsoft, Asterisk, RingCentral and Metaswitch to name just a few. With a range of services designed to simplify the deployment of CPE, you are safe in the knowledge that we have the tools and expertise to deliver the service you truly require. From automatic zero-touch provisioning, to remote device management, you can take control of your orders both pre and post deployment. Plus, with personalised branded shipping options, we can help you to ensure your customer experience is maintained through every step of the journey. Take a look at the 6800, 7800 and 8800 series.